Eagle Creek Naples Florida is an intimate, private gated golf community centrally located midway between Naples & Marco Island. It is set on 300 wooded acres of cypress, pine and palm trees and was founded in 1984. Eagle Creek Golf & Country Club has repeatedly won local and national awards for the beauty and maintenance of its grounds. The community is 100 percent built-out offering 458 residential units, including single family homes, villas, and condominiums. Eagle Creeks’ small size makes is unique in Naples. Most residential golf course communities are sized between 750 and 5,000 homes. Because of its intimate size and exclusivity, Eagle Creek residents enjoy ready access to all facilities. No waiting for the ultimate in attention and service from long-tenured and dedicated staff. Eagle Creek feels like a neighborhood, with a friendly and close-knit membership. The course at Eagle Creek Golf and Country Club winds through cypress preserve and pine forests. It stretches 7114 yards from the back tees and plays to a par of 72. 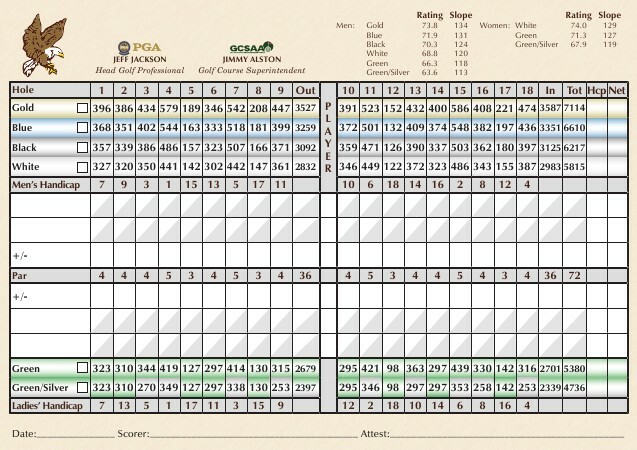 The slope 134 and the course is rated at 73.8. Residential housing only comes into play on six holes and water on three holes! It is annually rated among the best in Florida. Originally designed by Larry Packard, the course has undergone subsequent redesigns and modifications. The latest by the C.R. Sanders Group of Cordova, Tennessee. Their previous experience includes projects at Augusta National, Pinehurst #2, and the Ocean Course at Kiawah Island. Members may choose from one of six sets of tees to test to fit their abilities. And unlike many clubs in the area, members may walk the course. Eagle Creek members enjoy year-round golfing events organized by its Golf Committee and the superb golf professional team. There is a maximum of 360 golf memberships. 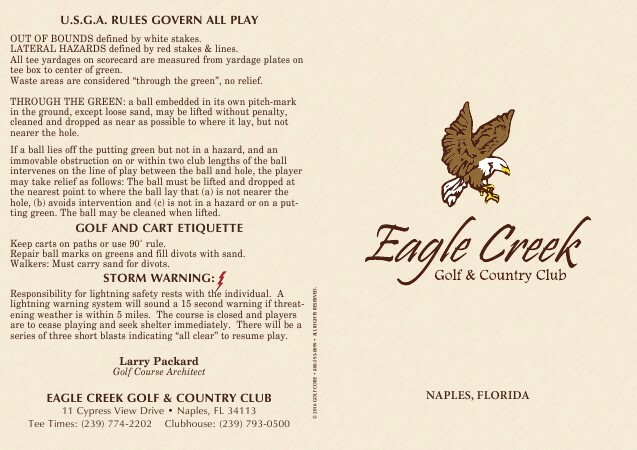 For additional information about Eagle Creek Naples FL, please complete the form below! I or one of my team members will respond to you within one business day.